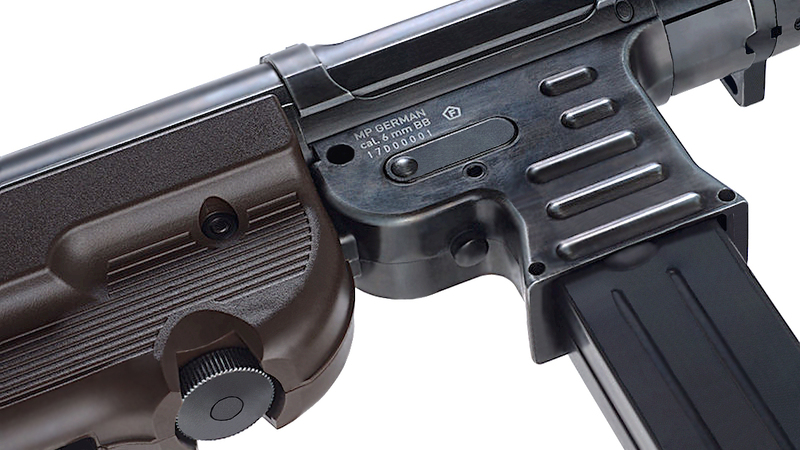 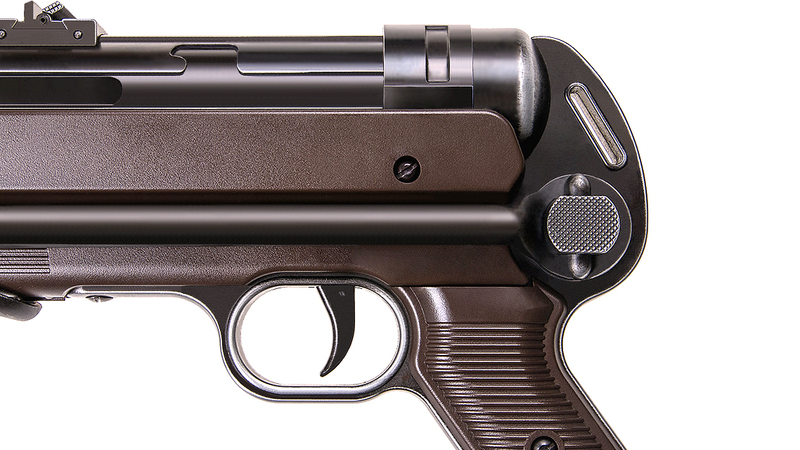 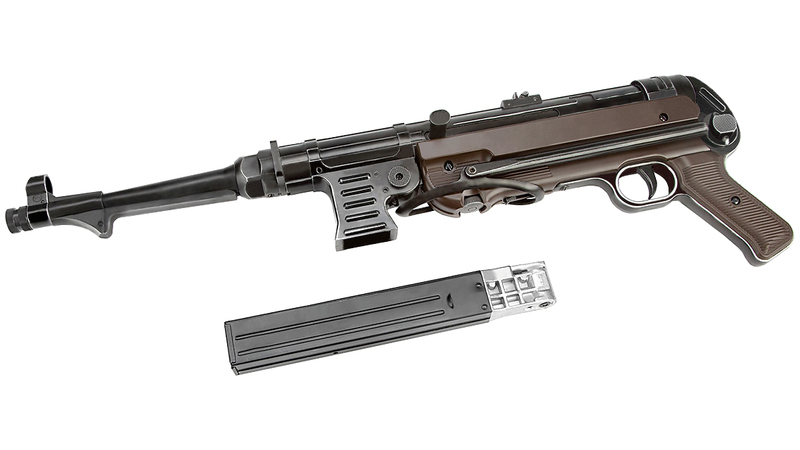 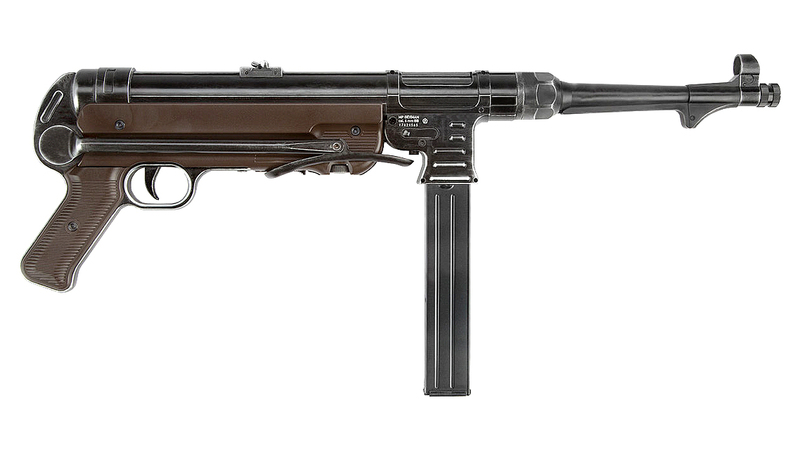 The MP 38 and MP 40 (MP designates Maschinenpistole, literally "Machine Pistol") were submachine guns developed in Nazi Germany and used extensively by paratroopers, platoon and squad leaders, and other troops during World War II. 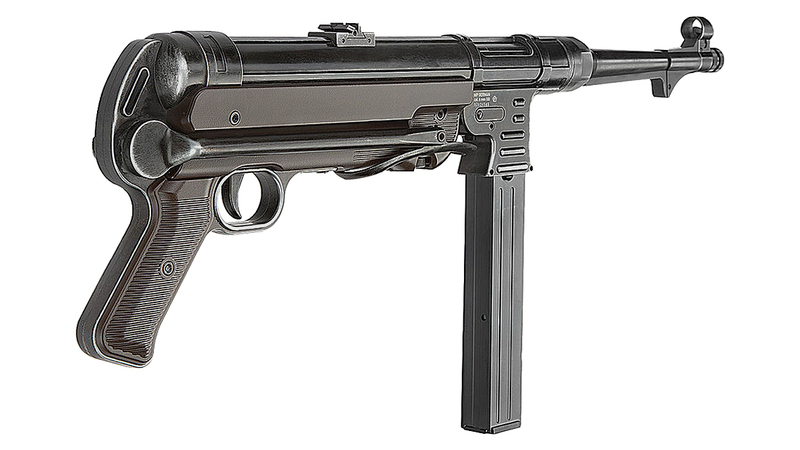 The MP 40 was characterized by its relatively low rate of fire and low recoil. 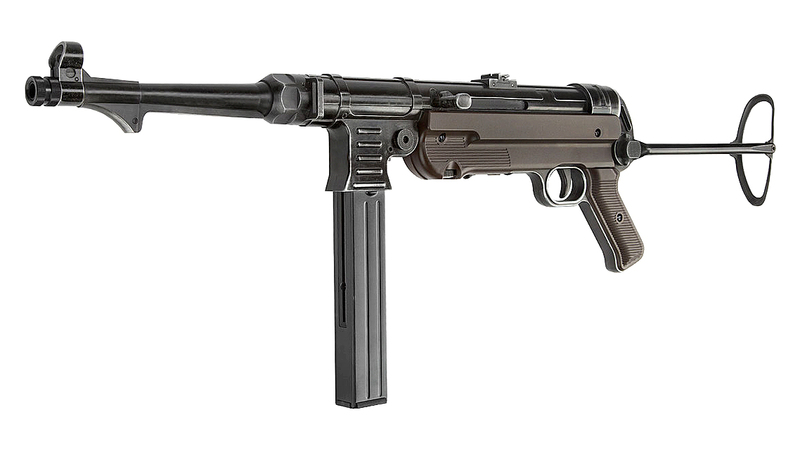 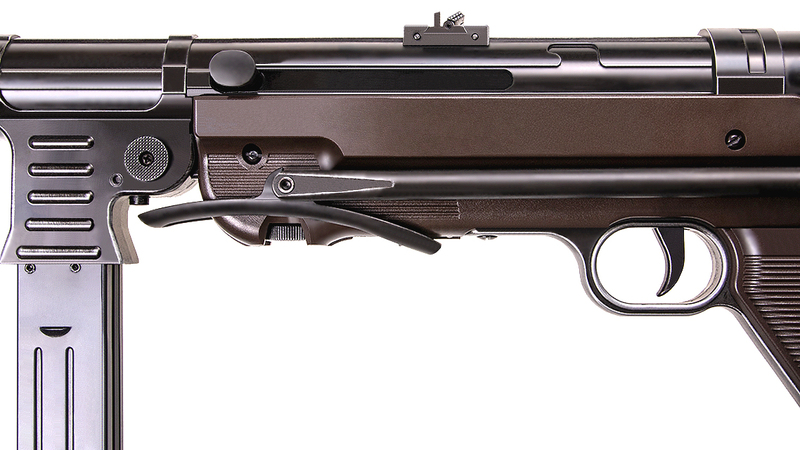 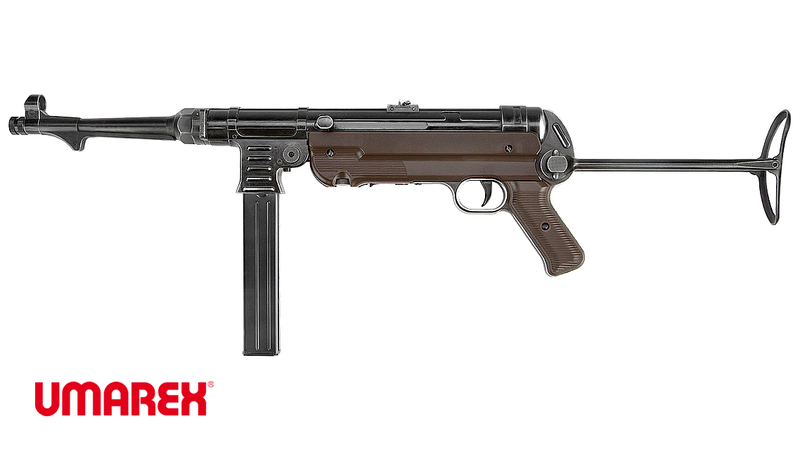 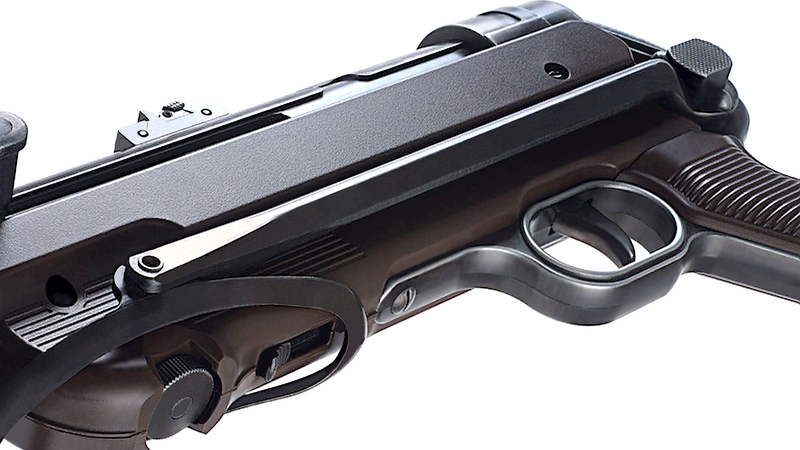 Umarex Legends MP40 6mm GBB SMG CO2 Version, Featuring both SEMI & FULLY Automatic Shooting Mode Gas Blowback Sub-Machine Gun Except Lower Receiver & Grip, this SMG is entirely metal. 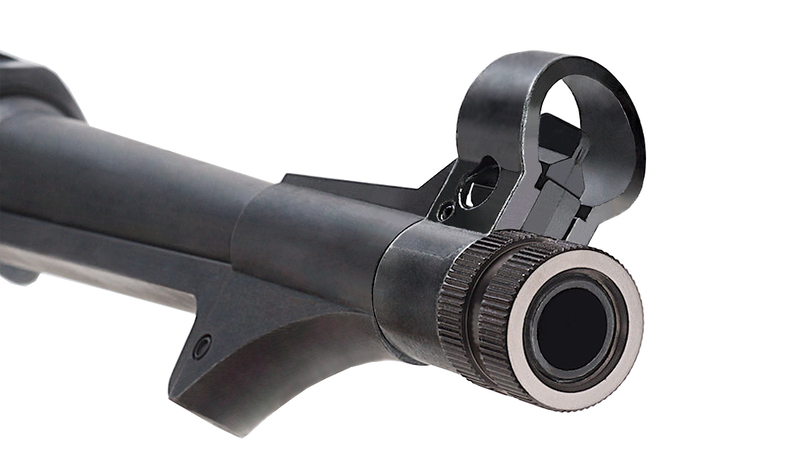 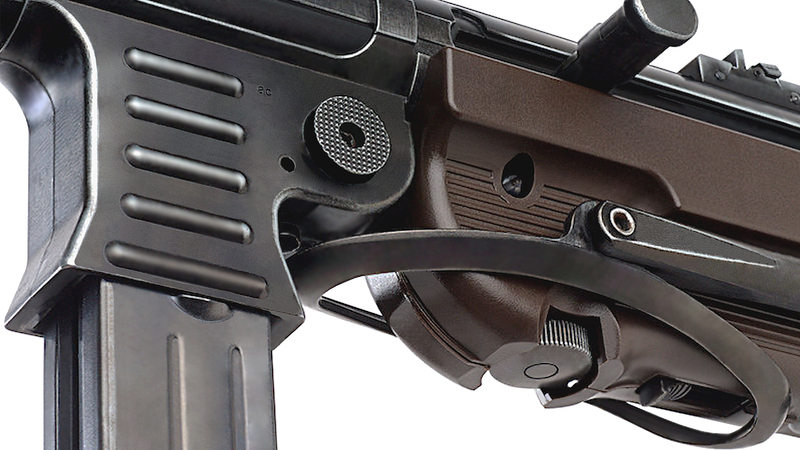 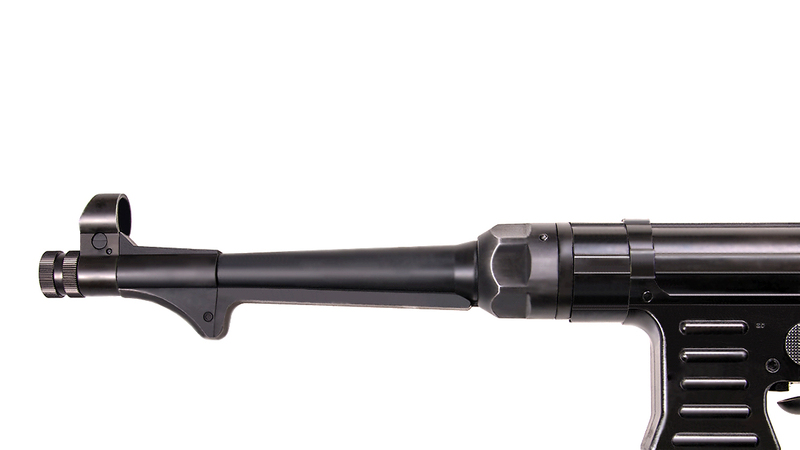 Utilize 6mm Plastic Bullet, this SMG give you a supreme accuracy on the target Sling mount can be installed with any single, 2- or 3- point tactical sling.